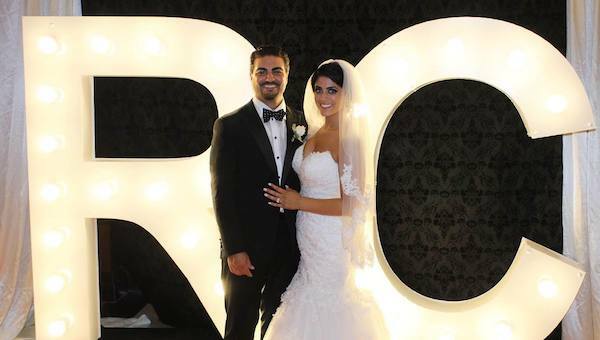 With the highly-anticipated royal wedding less than 2 months away, inspiration is swirling on social media for soon-to-be brides and grooms who are looking to wed like a royal. Here's a roundup of some of the key details you may want to consider if you're hoping to create your own Meghan-and-Harry-inspired nuptials. 1. Do a daytime celebration. While many weddings tend to occur in the evening, the royals prefer to say their I Do's during the day. Not only does this allow you to take advantage of the daylight hours (better lighting for photos! ), but you will likely save a little money too, as your venue will require less lighting (in favour of natural light), less decor (you can incorporate your natural surroundings), and lighter menu offerings (lunch tends to be less expensive). 2. Host your guests in a historic venue. 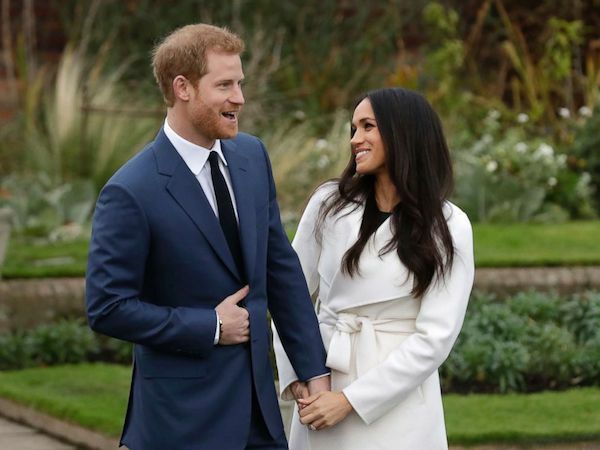 While you may not have access to Windsor Castle, you can still find an ornate church in your area to say your vows, and then head over to a castle-like venue for your party post-vows. If you're working with a tighter budget, do it with decor! Create an elaborate space inspired by the palatial picks of the royal family. 3. Get a grand gown. Floor-sweeping gowns with detailed trains are a must for any princess or princess-to-be. 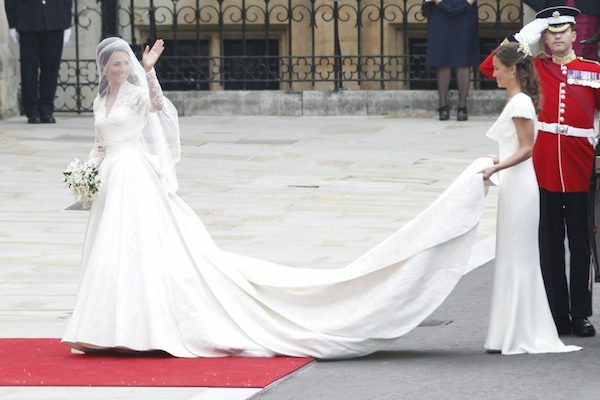 And according to the dresses historically worn by royals, it seems as though the longer the train, the better (Kate Middleton's train was 9 feet long!). 4. Top your 'do with a tiara. No princess bride's ensemble is complete without a dazzling tiara! Go full-on royal with a sparkly crown worn on your head. Add it to a draping veil, or wear it solo. 5. Select a Spring-themed cake. For Meghan and Harry, a lemon and elderflower cake is the top choice, which will be covered in buttercream and decorated with fresh flowers. Make your wedding cake stand out with bright blooms and buttercream, and your wedding is sure to be a spring-inspired success. 6. Create a charming carriage procession. While your wedding may not draw thousands of onlookers, a horse-drawn carriage ride would add a royal touch to your special day. Post-vows, go for a carriage ride and spread the love with passersby. For an added touch, reveal a royal wave as you trot through the town. 7. Add royal flair to your affair! Surprise your guests with a royal-themed photo booth, where they can snap photos in front of Windsor Castle, pose with Prince Harry and his bride, or add tiaras to their looks using digital props. With TapSnap, you can create a truly fun photo experience fit for royalty. Interested in adding a royal touch to your special day? Check your date and book your TapSnap photo booth today.